Anna, one hundred and twelve years old, is the second oldest recorded person in the world. She lives on an olive plantation in California with her daughter Bets, granddaughter Callie, great-granddaughter Deb, and great-great-granddaughter Erin. These women grew up in the same place, many under the same roof, but they couldn’t be more different from one another, and they all have very deep, sometimes very dark, secrets. When a geneticist comes to town, interested in studying the family’s DNA and finding out information about a “super-aging” gene that may be passed down among the women in the family, these secrets are being brought very close to the surface, and these women are about to understand one another much better than ever before. Follow these women as the stories unfold, from past to present, and jump into a world of women that outlines the complicated nature of female relationships. If you like Women’s Fiction, this novel will be a great choice for your next read. The film “How to Make an American Quilt” came to mind as I read this novel, and felt reminded that every “old lady” has her own tale, full of entanglements and complications, and there is more to every person than meets the eye. 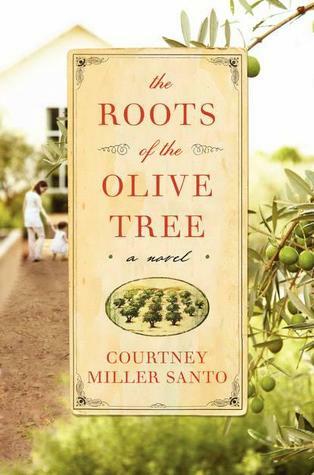 If you’re in the mood for something emotional and very serious, this pick up The Roots of the Olive Tree, by Courtney Miller Santo, and check it out for yourself.